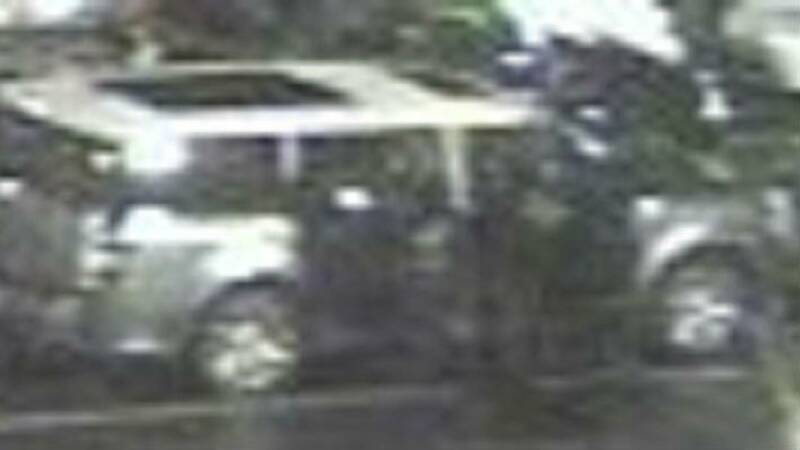 This Ford SUV is believed to be involved in a robbery turned shooting. JACKSONVILLE, Fla. - Three women are wanted in connection with a robbery turned shooting that unfolded this month outside a Brunswick motel, according to the Glynn County Police Department. On Monday, the police department released surveillance images of the trio as well a Ford Flex sport-utility vehicle believed to be involved in the hopes of learning their identities. Officers answering a shooting call at the Stay Express Inn & Suites on New Jesup Highway about 11:45 p.m. April 6 learned an employee was shot in the arm and his wallet was stolen. The employee was taken to the Southeast Georgia Health System Brunswick Campus in stable condition and later flown to UF Health Jacksonville. The victim's credit cards were later used at a series of business in the Waycross area, according to police. Police said the women were seen at those businesses. Anyone with information on the identities or whereabouts of the women pictured in the images is asked to call police at (912) 554-7802 or the Silent Witness tipline at (912) 264-1333.